Tablets are becoming increasingly common in the workplace, the home, and even at the top of children's Christmas lists. Just about every company has jumped on the bandwagon, and Microsoft is hoping Windows RT will help it finally crack this tough market. 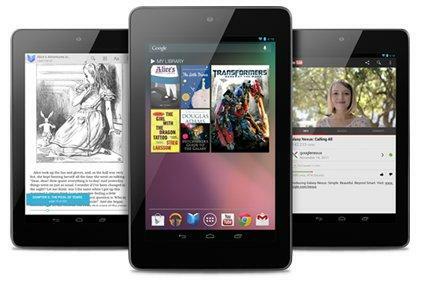 See also: Google Nexus 7 tablet vs Apple iPad comparison review. But despite their popularity, tablets remain expensive. The iPad costs from Â£399 for the 16GB Wi-Fi-only model, and the chances are you'll need the pricier 32- or 64GB model to avoid running out of storage space. Android tablets tend to be a little cheaper, and usually have microSD slots for storage expansion, but the major rivals to the iPad's crown, including the Samsung Galaxy Tab 10.1 and the Asus Transformer Prime, also cost Â£399-plus. Visit Group test: What's the best tablet PC accessory? It is possible to pick up a tablet for less than Â£200, and still get most of the features you'd expect from a premium model. Budget tablets might not turn heads like an iPad, but they still have lots to offer. When deciding which tablet to buy, how you intend to use the device is probably the most important factor to consider. If you simply want to watch YouTube on the sofa, catch up on Facebook or Twitter, send some emails and indulge in a spot of internet browsing, almost any tablet will do the job. Multimedia fans would be wise to choose a platform such as Android, with its huge choice of apps, or possibly even wait for Amazon's Kindle Fire to be released in the UK. If you're looking for something the children can use, Archos' forthcoming Â£99 Child Pad looks promising. LeapFrog and V-Tech also sell tablets for children. By their very nature tablets are ultraportable devices, with a circa-10in screen the standard. This is ideal for use at home when you're sat at a table or in a comfy armchair, but holding something that big for an extended period of time can become tiring. A tablet won't easily fit into a handbag or jacket pocket either. If you intend to carry your tablet with you, consider a 7in-screen model; these offer a great compromise between functionality and portability. Performance aside, the most important feature of a tablet is its screen. An unresponsive touchscreen will ruin the user experience (note that lag can also be caused by a slow processor). The screen resolution is also crucial, especially on smaller-screen tablets, since higher resolutions make small text easier to read. This is also important if the tablet will mostly be used for watching video and displaying photos. All tablets support zoom, but you won't want to use the feature every time you need to read something. With the notable exceptions of Apple's iPad and BlackBerry's PlayBook, most tablets allow you to expand the storage capacity through removable memory cards. While 16GB of internal storage is standard for high-end tablets, budget devices tend to offer just 4- or 8GB. Get as much storage space as you can, since a wealth of video and apps will quickly gobble up that capacity. Around 32GB is a sensible amount, with a 16GB microSD card costing as little as Â£7. Unlike desktop PCs, tablets aren't user-upgradable. You won't be able to fit a new screen, swap out the battery or upgrade the processor, for example. This also means that if something breaks, you'll need reassurance that the manufacturer will fix it. Most have one-year warranties, but be sure to check the terms and conditions.